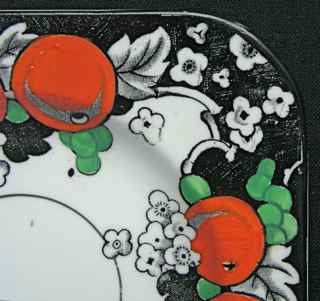 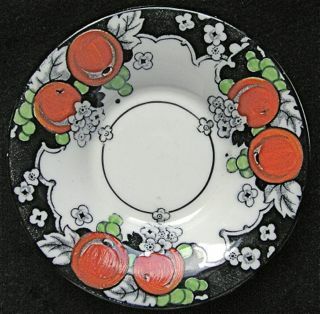 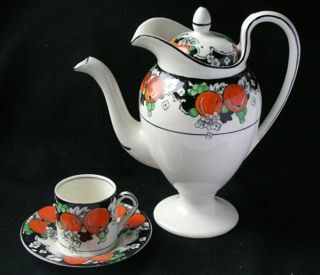 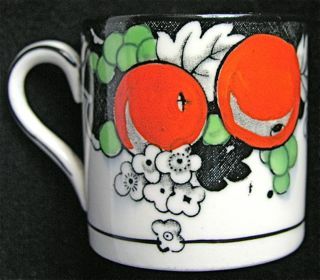 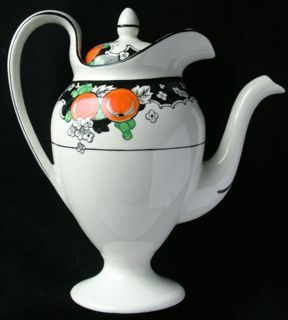 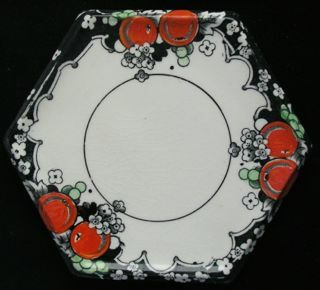 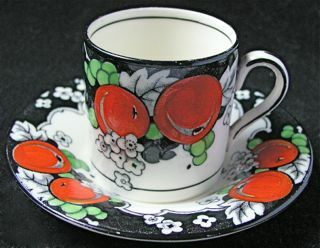 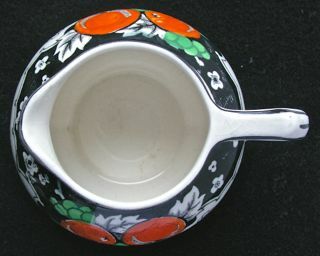 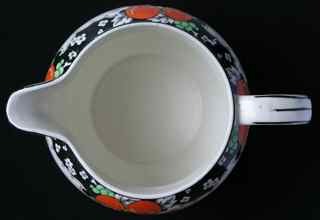 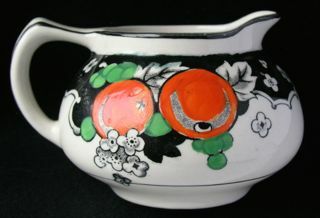 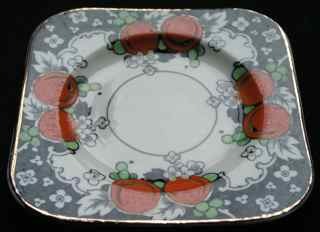 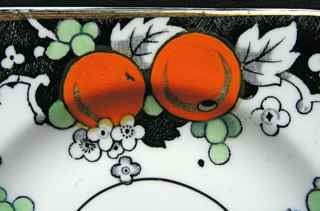 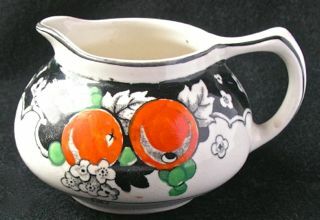 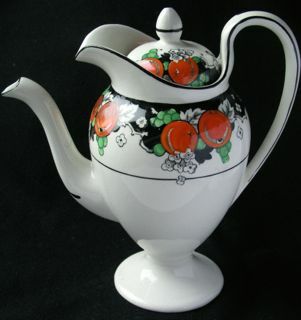 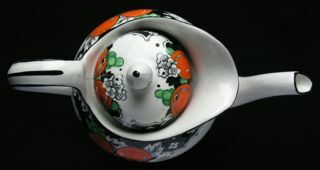 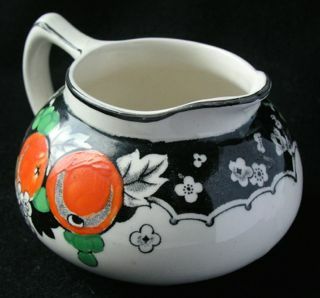 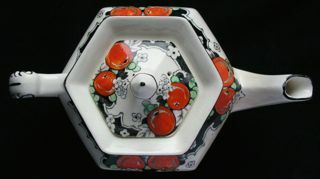 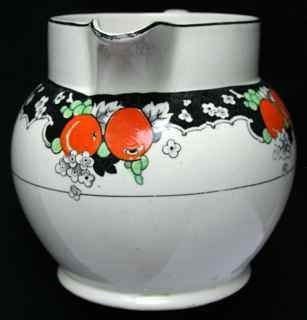 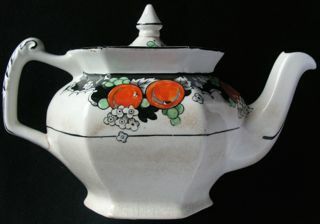 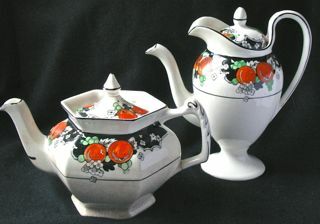 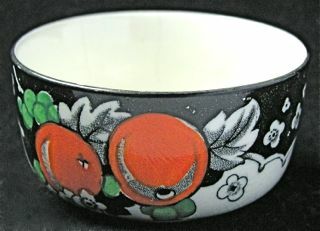 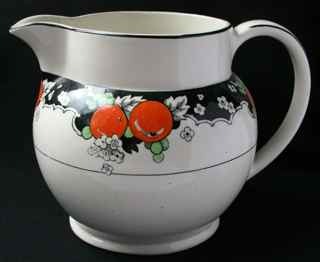 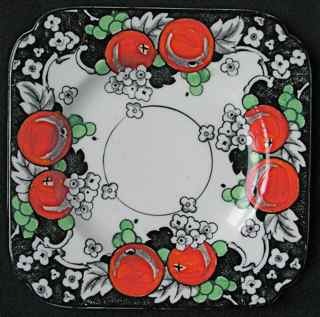 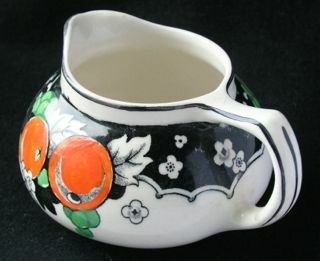 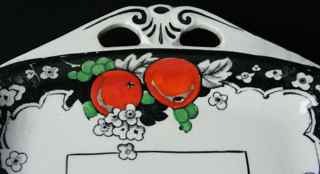 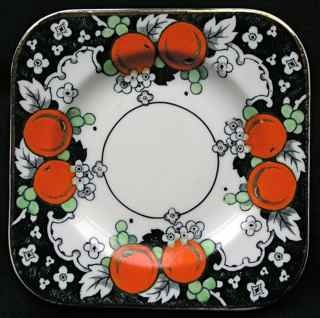 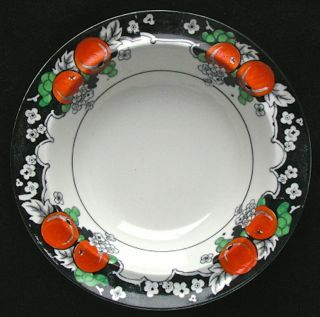 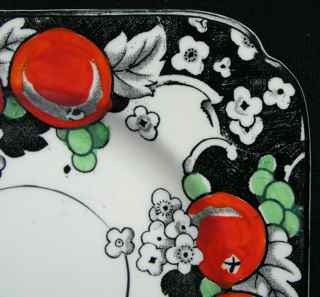 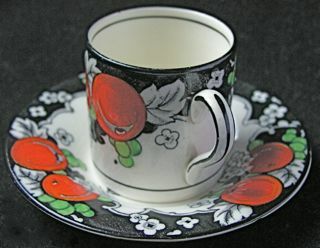 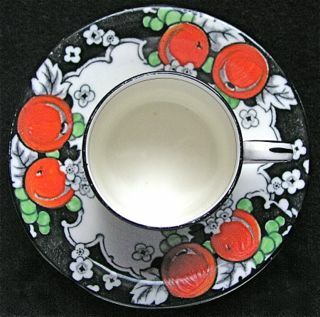 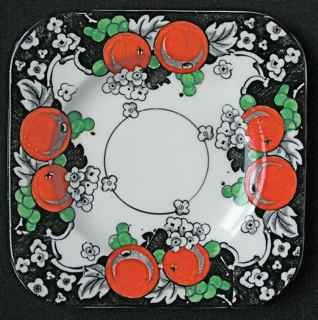 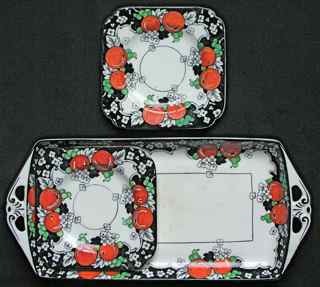 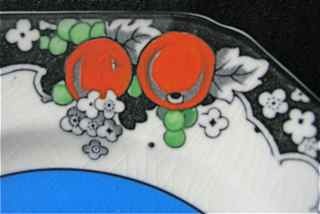 A very attractive black transfer design with handpainted orange fruit and green leaves. 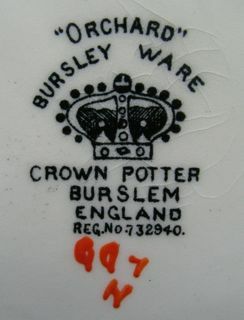 The registration number 732940 dates the design to 1927. 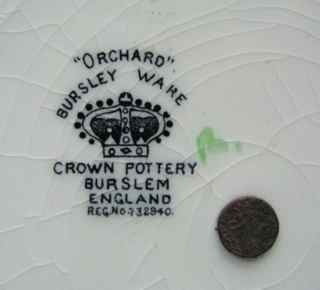 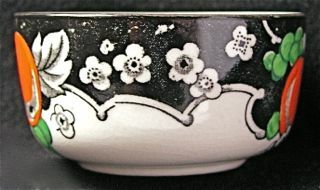 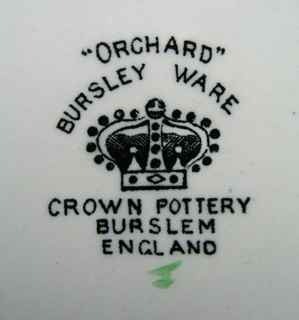 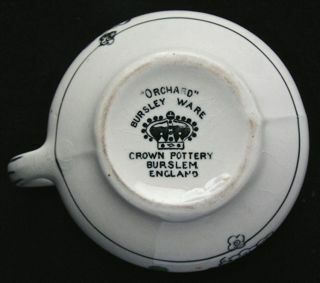 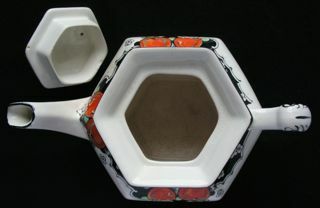 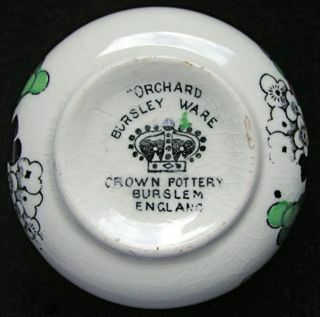 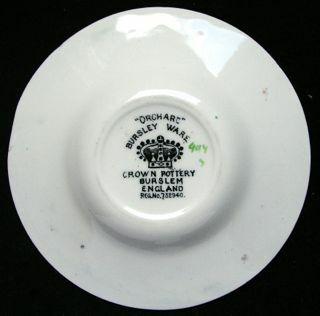 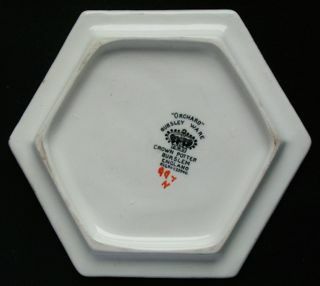 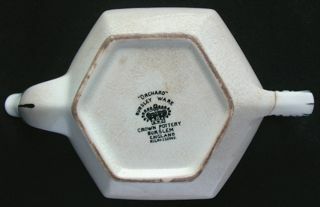 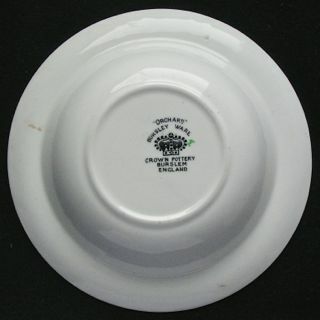 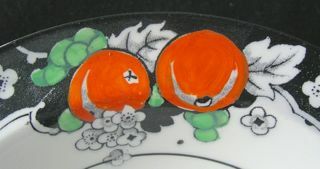 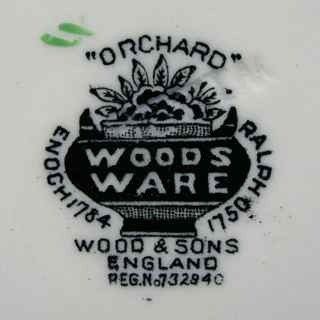 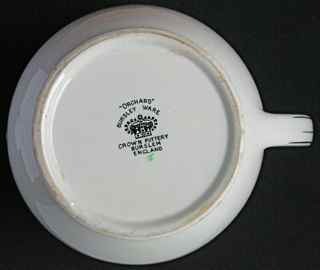 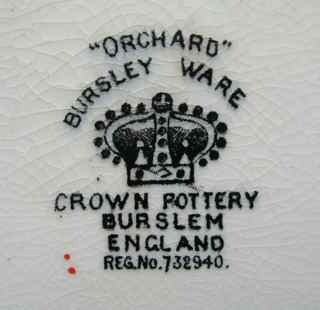 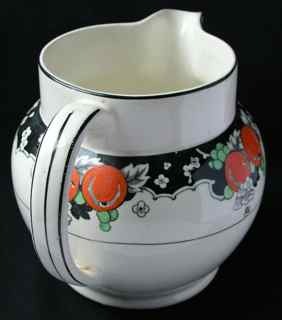 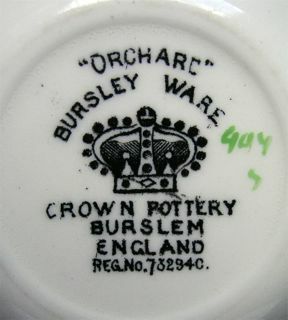 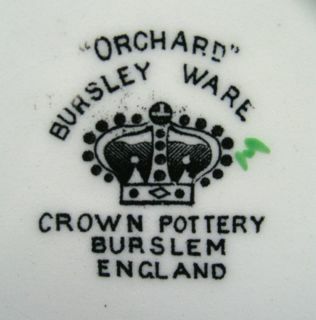 Orchard items generally have the BURSLEY WARE Crown Pottery mark, but can also be found with the WOODSWARE "urn" mark typical of the period. 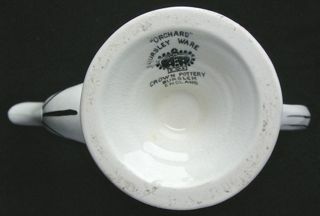 Some crazing, and slight brown staining in centre. 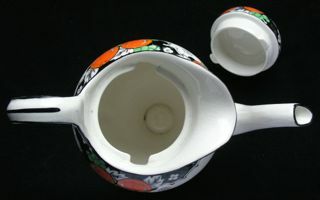 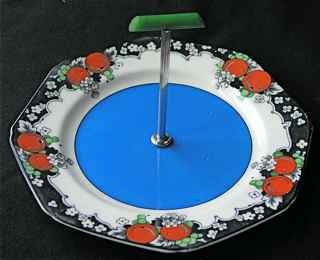 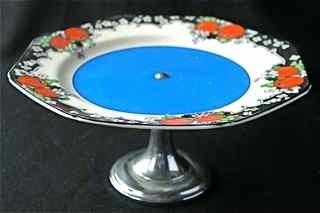 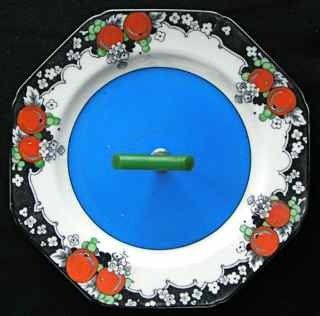 This can be supplied with either a metal handle OR a metal stand, as illustrated.